CARFAX One-Owner. One Owner, NONSmoker, Local Trade, Fresh Oil Change, Passed Dealership Inspection, Freshly Detailed, EXCELLENT CONDITION, WHAT A PRICE ,WHAT A DEAL ,AND WE SERVICE IT LIKE ANY OTHER ONE OF OUR SPECIALTY USED CARS WE HAVE HERE FPR YOU AND YOUR FAMILY!IF YOU ARE LOOKING FOR AN INEXPENSIVE RIDE WITH A LOW PAYMENT WE HAVE IT HERE!!. Bright Silver 2012 Kia Soul FWD 1.6L I4 DGI Awards: * 2012 IIHS Top Safety Pick * 2012 KBB.com 10 Best Coolest Cars Under $18,000 * 2012 KBB.com Total Cost of Ownership Awards Bright Silver 2012 Beaver Kia Soul is a 4D Hatchback FWD . This Florida Hatchback has a 1.6L I4 DGI engine. Call right now and schedule a test drive. Ask for stock number 534405A, the Florida 2012 Beaver Kia Soul . Shop Us Online at www.beavertoyotastaugustine.com. Serving Jacksonville, Palm Coast, Daytona, Gainesville and St Augustine. Beaver Toyota St Augustine on 2995 US Hwy 1 South in St Augustine. Clean CARFAX. NONSmoker, Local Trade, MUST SEE!, Fresh Oil Change, Passed Dealership Inspection, Freshly Detailed, EXCELLENT CONDITION. 22/32 City/Highway MPG Grey 2009 Hyundai Sonata GLS FWD 2.4L I4 DOHC 16V Grey 2009 Beaver Hyundai Sonata GLS is a 4D Sedan FWD . This Florida Sedan has a 2.4L I4 DOHC 16V engine. Call right now and schedule a test drive. Ask for stock number U207623B, the Florida 2009 Beaver Hyundai Sonata . Shop Us Online at www.beavertoyotastaugustine.com. Serving Jacksonville, Palm Coast, Daytona, Gainesville and St Augustine. Beaver Toyota St Augustine on 2995 US Hwy 1 South in St Augustine. Clean CARFAX. 24/32 City/Highway MPG Silver 2011 Nissan Versa 1.8 S FWD 1.8L 4-Cylinder DOHC 16V Silver 2011 Beaver Nissan Versa 1.8 S is a 4D Hatchback FWD . This Florida Hatchback has a 1.8L 4-Cylinder DOHC 16V engine. Call right now and schedule a test drive. Ask for stock number Y524321A, the Florida 2011 Beaver Nissan Versa . Shop Us Online at www.beavertoyotastaugustine.com. Serving Jacksonville, Palm Coast, Daytona, Gainesville and St Augustine. Beaver Toyota St Augustine on 2995 US Hwy 1 South in St Augustine. Clean CARFAX. Fresh Oil Change, Passed Dealership Inspection, Freshly Detailed, come look at this amazing lincoln ,beaver toyota has it ,andWE ARE PROUD TO SHOWCASE THIS NICE WELL SERVICED USED CAR!!. Satellite Silver Clearcoat Metallic 2007 Lincoln Town Car Signature RWD 4.6L V8 EFI SOHC Satellite Silver Clearcoat Metallic 2007 Beaver Lincoln Town Car Signature is a 4D Sedan RWD . This Florida Sedan has a 4.6L V8 EFI SOHC engine. Call right now and schedule a test drive. Ask for stock number W015000A, the Florida 2007 Beaver Lincoln Town Car . Shop Us Online at www.beavertoyotastaugustine.com. Serving Jacksonville, Palm Coast, Daytona, Gainesville and St Augustine. Beaver Toyota St Augustine on 2995 US Hwy 1 South in St Augustine. PRISTINE CONDITION, NONSmoker, Local Trade, MUST SEE!, Fresh Oil Change, Passed Dealership Inspection, Freshly Detailed, EXCELLENT CONDITION, THIS CAR IS IN EXCELLENT CONDITION ,LIKE SHOWROOM CONDITION AND SERVICED TO PERFECTION LIKE NO OTHER DEALERSHIP IN THIS MARKET! !WE HAVE THE BEST SERVICED USED CARS AVAILABLE IN ANY MARKET ,SO WHY BUY ANYWHERE ELASE ,BEAVERS USED CARS ARE AT THE TOP OF THE WORLD!!. 23/32 City/Highway MPG Silver 2004 Toyota Camry LE FWD 2.4L I4 SMPI DOHC Silver 2004 Beaver Toyota Camry LE is a 4D Sedan FWD . This Florida Sedan has a 2.4L I4 SMPI DOHC engine. Call right now and schedule a test drive. Ask for stock number 016535B, the Florida 2004 Beaver Toyota Camry . Shop Us Online at www.beavertoyotastaugustine.com. Serving Jacksonville, Palm Coast, Daytona, Gainesville and St Augustine. Beaver Toyota St Augustine on 2995 US Hwy 1 South in St Augustine. PRISTINE CONDITION, Leather, LEATHER, NONSmoker, MUST SEE!, Fresh Oil Change, Passed Dealership Inspection, Freshly Detailed, EXCELLENT CONDITION, MUST SE THIS GREAT PAYMENT AND PRICE COMBINE THEM BOTH AND YOU WILL BE DRIVING THE LITTLE CAR OF YOUR DREAMS!BEAVER TOYOTA THE USED CARS THAT YOU CAN TRUST ,WE MAKE SURE EVERY USED CAR IS SERVICED TO PERFECTION TO MAKE IT SAFE FOR YOU AND YOUR FAMILY FOR LIFE!!. Blue 2014 Ford Fiesta Titanium FWD 1.6L I4 Ti-VCT Awards: * 2014 KBB.com 10 Tech-Savviest Cars Under $20,000 * 2014 KBB.com 10 Coolest New Cars Under $18,000 * 2014 KBB.com Brand Image Awards Blue 2014 Beaver Ford Fiesta Titanium is a 4D Hatchback FWD . This Florida Hatchback has a 1.6L I4 Ti-VCT engine. Call right now and schedule a test drive. Ask for stock number P949673A, the Florida 2014 Beaver Ford Fiesta . Shop Us Online at www.beavertoyotastaugustine.com. Serving Jacksonville, Palm Coast, Daytona, Gainesville and St Augustine. Beaver Toyota St Augustine on 2995 US Hwy 1 South in St Augustine. CARFAX One-Owner. PRISTINE CONDITION, SUNROOF / MOONROOF / ROOF, Leather, Bluetooth Handsfree, NO ACCIDENTS ON CARFAX REPORT, Rear View Camera, LEATHER, One Owner, NONSmoker, Fresh Oil Change, Passed Dealership Inspection, Freshly Detailed, MINT CONDITION, EXCELLENT CONDITION. 19/27 City/Highway MPG Blue 2010 Ford Fusion SEL FWD 3.0L V6 Flex Fuel Awards: * 2010 KBB.com Brand Image Awards Blue 2010 Beaver Ford Fusion SEL is a 4D Sedan FWD . This Florida Sedan has a 3.0L V6 Flex Fuel engine. Call right now and schedule a test drive. Ask for stock number 5590699B, the Florida 2010 Beaver Ford Fusion . Shop Us Online at www.beavertoyotastaugustine.com. Serving Jacksonville, Palm Coast, Daytona, Gainesville and St Augustine. Beaver Toyota St Augustine on 2995 US Hwy 1 South in St Augustine. Clean CARFAX. 2009 Dodge Journey SXT FWD 3.5L V6 MPI 24V High-Output 2009 Beaver Dodge Journey SXT is a 4D Sport Utility FWD . This Florida SUV has a 3.5L V6 MPI 24V High-Output engine. Call right now and schedule a test drive. Ask for stock number 865472A, the Florida 2009 Beaver Dodge Journey . Shop Us Online at www.beavertoyotastaugustine.com. Serving Jacksonville, Palm Coast, Daytona, Gainesville and St Augustine. Beaver Toyota St Augustine on 2995 US Hwy 1 South in St Augustine. CARFAX One-Owner. PRISTINE CONDITION, One Owner, NONSmoker, Local Trade, MUST SEE!, Fresh Oil Change, Passed Dealership Inspection, Freshly Detailed, MINT CONDITION, EXCELLENT CONDITION, NICE INEXPENSIVE AUTOMATIC ,IN GREAT SHAPE ,PERFECTLY SERVICED FOR YOU AND YOUR FAMILY ,WE WANT THE SAFEST USED CARS TO HIT THE ROAD AND WE WANT TO MAKE SURE BEAVER TOYOTA PROVIDES ALL OUR CUSTOMERS WITH THE BEST SERVICED CARS IN THE MARKET!!. 28/37 City/Highway MPG Black 2013 Hyundai Accent GLS FWD 1.6L I4 DGI DOHC 16V Black 2013 Beaver Hyundai Accent GLS is a 4D Sedan FWD . This Florida Sedan has a 1.6L I4 DGI DOHC 16V engine. Call right now and schedule a test drive. Ask for stock number M203219B, the Florida 2013 Beaver Hyundai Accent . Shop Us Online at www.beavertoyotastaugustine.com. Serving Jacksonville, Palm Coast, Daytona, Gainesville and St Augustine. Beaver Toyota St Augustine on 2995 US Hwy 1 South in St Augustine. Silver 2010 Toyota Sienna CE FWD 3.5L V6 SMPI DOHC Awards: * 2010 KBB.com Best Resale Value Awards * 2010 KBB.com 10 Best Used Family Cars Under $15,000 * 2010 KBB.com 10 Best New Road Trip Vehicles Silver 2010 Beaver Toyota Sienna CE is a 4D Passenger Van FWD . This Florida Minivan/Van has a 3.5L V6 SMPI DOHC engine. Call right now and schedule a test drive. Ask for stock number S013993A, the Florida 2010 Beaver Toyota Sienna . Shop Us Online at www.beavertoyotastaugustine.com. Serving Jacksonville, Palm Coast, Daytona, Gainesville and St Augustine. Beaver Toyota St Augustine on 2995 US Hwy 1 South in St Augustine. Clean CARFAX. PRISTINE CONDITION, NO ACCIDENTS ON CARFAX REPORT, NONSmoker, Local Trade, MUST SEE!, Fresh Oil Change, Passed Dealership Inspection, Freshly Detailed, MINT CONDITION, EXCELLENT CONDITION. 26/34 City/Highway MPG Black Sand Pearl 2013 Toyota Corolla LE FWD 1.8L I4 DOHC Dual VVT-i Awards: * 2013 KBB.com Best Resale Value Awards * 2013 KBB.com Brand Image Awards Black Sand Pearl 2013 Beaver Toyota Corolla LE is a 4D Sedan FWD . This Florida Sedan has a 1.8L I4 DOHC Dual VVT-i engine. Call right now and schedule a test drive. Ask for stock number M206627B, the Florida 2013 Beaver Toyota Corolla . Shop Us Online at www.beavertoyotastaugustine.com. Serving Jacksonville, Palm Coast, Daytona, Gainesville and St Augustine. Beaver Toyota St Augustine on 2995 US Hwy 1 South in St Augustine. Clean CARFAX. 20/29 City/Highway MPG White 2005 Acura TL FWD 3.2L V6 SOHC VTEC 24V Awards: * 2005 KBB.com Best Resale Value Awards For more information, visit www.kbb.com. Kelley Blue Book is a registered trademark of Kelley Blue Book Co., Inc. White 2005 Beaver Acura TL is a 4D Sedan FWD . This Florida Sedan has a 3.2L V6 SOHC VTEC 24V engine. Call right now and schedule a test drive. Ask for stock number D506168B, the Florida 2005 Beaver Acura TL . Shop Us Online at www.beavertoyotastaugustine.com. Serving Jacksonville, Palm Coast, Daytona, Gainesville and St Augustine. Beaver Toyota St Augustine on 2995 US Hwy 1 South in St Augustine. Clean CARFAX. PRISTINE CONDITION, GPS / NAVI / NAVIGATION, Leather, Bluetooth Handsfree, NO ACCIDENTS ON CARFAX REPORT, LEATHER, Local Trade, MUST SEE!, Fresh Oil Change, Passed Dealership Inspection, Freshly Detailed, MINT CONDITION, EXCELLENT CONDITION. 129/102 City/Highway MPG Silver 2013 Nissan Leaf SL FWD 80kW AC Synchronous Motor Awards: * 2013 KBB.com 10 Best Green Cars Silver 2013 Beaver Nissan Leaf SL is a 4D Hatchback FWD . This Florida Hatchback has an 80kW AC Synchronous Motor engine. Call right now and schedule a test drive. Ask for stock number X181185A, the Florida 2013 Beaver Nissan Leaf . Shop Us Online at www.beavertoyotastaugustine.com. Serving Jacksonville, Palm Coast, Daytona, Gainesville and St Augustine. Beaver Toyota St Augustine on 2995 US Hwy 1 South in St Augustine. PRISTINE CONDITION, SUNROOF / MOONROOF / ROOF, Leather, Bluetooth Handsfree, NO ACCIDENTS ON CARFAX REPORT, TOYOTA CERTIFIED*7 YEAR/100K MILE WARRANTY*$0 DEDUCTIBLE*BUY WITH PEACE OF MIND, NONSmoker, Local Trade, MUST SEE!, Fresh Oil Change, Passed 160 Point Toyota Certified Inspection, Passed Dealership Inspection, Freshly Detailed, MINT CONDITION, EXCELLENT CONDITION, DONT MISS THIS AMAZING DEAL ON THIS VERY HARD UNIT TO FIND! !, WE WILL SERVICE IT TO PERFECTION ,AND MAKE SURE WE SELL YOU AND YOUR FAMILY THE SAFEST USED CAR IN THE MARKET!!. Priced below KBB Fair Purchase Price! White 2006 Toyota Sequoia Limited RWD 4.7L V8 SMPI DOHC White 2006 Beaver Toyota Sequoia Limited is a 4D Sport Utility RWD . This Florida SUV has a 4.7L V8 SMPI DOHC engine. Call right now and schedule a test drive. Ask for stock number M223556A, the Florida 2006 Beaver Toyota Sequoia . Shop Us Online at www.beavertoyotastaugustine.com. Serving Jacksonville, Palm Coast, Daytona, Gainesville and St Augustine. Beaver Toyota St Augustine on 2995 US Hwy 1 South in St Augustine. Clean CARFAX. PRISTINE CONDITION, Bluetooth Handsfree, NO ACCIDENTS ON CARFAX REPORT, Rear View Camera, NONSmoker, Local Trade, MUST SEE!, New Tires, Fresh Oil Change, Passed Dealership Inspection, Freshly Detailed, MINT CONDITION, EXCELLENT CONDITION, WHAT A GREAT PRICE ON THIS SUPER SPORTY NISSAN ALTIMA ,SV PACKAGE ,GREAT LOOKS ,MUST SEE ,NEW TIRES ,SERVICED TO PERFECTION! 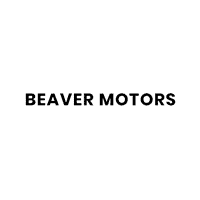 !ONLY AT BEAVER TOYOTA WE CARE SO MUCH ABOUT OUR USED CARS ,AND WE PASSE IT TO YOU AND YOUR FAMILY PEACE OF MIND IS WHAT WE HAVE ,WHEN WE SELL A USED CAR!!. 27/38 City/Highway MPG Black 2013 Nissan Altima 2.5 FWD 2.5L I4 DOHC 16V Awards: * 2013 KBB.com 10 Best New Sedans Under $25,000 * 2013 KBB.com 10 Best Family Cars Black 2013 Beaver Nissan Altima 2.5 is a 4D Sedan FWD . This Florida Sedan has a 2.5L I4 DOHC 16V engine. Call right now and schedule a test drive. Ask for stock number P909738A, the Florida 2013 Beaver Nissan Altima . Shop Us Online at www.beavertoyotastaugustine.com. Serving Jacksonville, Palm Coast, Daytona, Gainesville and St Augustine. Beaver Toyota St Augustine on 2995 US Hwy 1 South in St Augustine.